My coupon collection is not distributed into the social interaction of the economy that it was intended for. 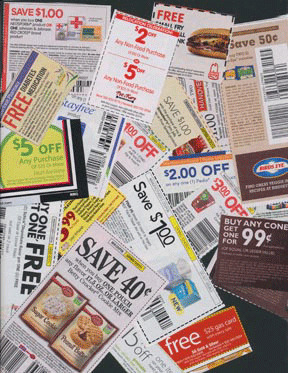 Instead of being placed in circulation for marketing and consumer saving, the coupons are grouped by the month of expiration. As this collection has formed in the last three months, I have begun to investigate the many aspects of the coupons. Such as: the immaterial labor (marketing), the consumer labor (clipping/ organizing), the transitional time period (the expiration date), and the cultural aspects of thrift and savings. As I am collecting, clipping, and sorting the coupons, one aspect that was first apparent is the community that the coupons define. From food establishments, local merchants, and chain store retailers, the coupons visually represent my community’s style of consumption. Periodically, I will be posting on my website an updated list of the coupon collection. Besides being grouped by the expiration month, my plan is to include my location as part of the grouping. The time period of the collection will be determined by when I change my residence. 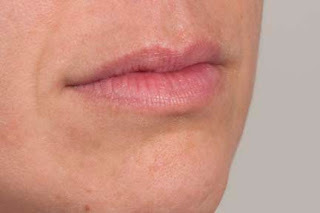 For the next collection, I am considering the mouth as the focal point of interaction. The videos will be integrating the dual functionality of the mouth, consumption of substance and interaction with objects. The focus on both of these begins an inquiry of the body (mouth) with regard to individual sustainability and an object’s function. Please visit website to view collection. The current collections visually represent the interaction between people and objects. I am consciously considering the functionality of this interaction between the two when I start the collecting process. My process begins with ‘fieldwork’ of observing types of objects or a particular activity that tends to have a specific utility. The ‘fieldwork’ coincides with socially and culturally based research. Borrowing from material culture methodologies such as visual anthropology and observational cinema, these methods contribute to an image-based inquiry of the body and the senses with an ethnographic practice. Documenting the interaction between a person and an object exhibits the functionality of the process instead of an object from a certain time period that tends to interpret the history or social relations of a pertaining culture. Documenting the process on a sterile background maintains the focus on the process by isolating something that otherwise tends to be a daily routine. For my art practice, the medium of video is new. Considering past experiences with materials and processes to produce artwork, I am fully aware of the limitations of employing one medium to visually represent my concept on collections.